Last year I made a 9-page comic for issue 1/2 (2013) of Cwiszn – a magazine about Yiddish culture in Poland. I was asked to choose a story by Sholem Asch (or Szolem Asz, as he is called in Polish). 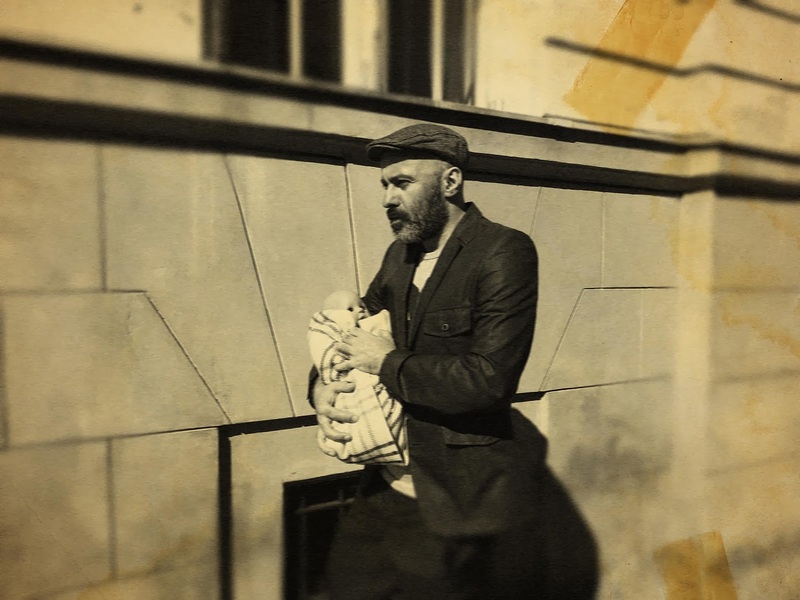 The story that caught my interest was a short piece titled The Thieve and the Kid (Dryblas z dzieckiem) about a rather unsuccessful and miserable Jewish burglar who one day finds himself raising a baby. It is a funny and tragic story with a really cool twist at the end, set in a small Polish town in the 1920s or 1930s. I would like to thank Sławek Belina for acting as the thieve (there is a making-of picture at the end of the post) and Marta Sadkowska as the Jewish woman.